Greetings! In December I was at home to enjoy the local cultural events and the holiday season with my family and friends. We had mostly cloudy days with temperatures hovering around freezing point. Our first light dusting of snow appeared on the ground on December 30 morning. On New Year's Eve, the light rain washed all the snow away. In December, I saw many festive holiday displays in the city centre. All the banks, shops, and department stores put on their best holiday decorations. Whether it was a real tree or an artificial tree, they were all spectacular centrepieces. I viewed three art exhibits at the Power Plant, all with free admission: (1) La Canicula exhibit by Vivian Suter with Elisabeth Wild, (2) Beth Stuart's Length, Breadth, Thickness and Duration exhibit, and (3) Karla Black's solo exhibit. I was interested in Vivian Suter's exhibit and her story since she's from Guatemala, the country that I'll be visiting in January. In December I published nine blog posts, bringing the total this year to 91 posts. My heart and mind was full of gratitude when I wrote my Highlights of 2018. It's been an amazing, enriching, and fulfilling year. The 2018 Wellness Wednesday blog link up that I started this year concluded on December 12. I'm planning to continue the Wellness series on the second Wednesday of each month in 2019. 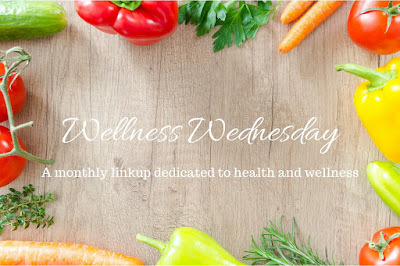 The link up is open to all wellness-related posts. Feel free to join me on the first Wellness post on Wednesday, January 9, 2019. I finished four thriller novels The Dime by Kathleen Kent, The Late Show by Michael Connelly, Before the Poison and When the Music's Over by Perter Robinson. The first two authors were new to me. I'm currently reading On Writing: A Memoir of the Craft by Stephen King, and The Lost Flowers of Alice Hart by Holly Ringland. When I reviewed the list of Stephen King's books, I realized that some of the movies I enjoyed, such as The Green Mile, The Shawshank Redemption, were based on his stories. The Piano Festival at the University of Toronto Faculty of Music: Thirteen pianists played their solo pieces with incredible skills and grace. It was two hours long with one short intermission. The 'Tis the Season to Swing concert at the Four Seasons Centre for the Performing Arts: Steven Taetz Quartet performed thirteen songs, including six Christmas-themed songs, in one hour. The annual Christmas Concert at Toronto City Hall: Toronto Beaches Children's & Youth Chorus, Toronto Mass Choir, Pan Fantasy Steel band, and Tower Brass played holiday songs in about ninety minutes. The Mayor of Toronto, Mr. John Tory, came to express his holiday greetings as seen in the photo below. For our family and friends who live far away, we exchanged our season's greetings by email and phone calls. Canada Post had a labour disruption that ended with a big backlog of mail and parcels so I sent out only a couple of greeting cards this year. Before Christmas, I met two friends for coffee, one friend for a workout at the gym, and had lunch with another two of my girlfriends. After Christmas, my family clan had our holiday dinner on December 26. This year there were twenty-five of us in attendance. It was a lively and heart-warming party with a lot of food, board games, and fun conversations. I completed seven yoga classes, thirteen workouts in the gym, five swimming sessions, and ran five times. I also walked 45 minutes or more and meditated 15 minutes daily. We had no snow until December 30 so the grounds were dry and it was easy to get around. On December 28, the high temperature was 10C (50F), which is unusual at this time of the year for us. I took my French and Spanish online lessons daily using Duolingo. I'm also reading online travel guides to learn more about Guatemala which is my upcoming travel destination. I watched two movies with my neighbours Crazy Rich Asians, Fahrenheit 11/9, and two animated shorts Weekends and Bilby. There was a re-run of Mission Impossible Fall Out that I decided not to go as I've seen it twice in November. We're ringing in the new year at home with comfort and relaxation. We had roasted chicken with wild rice and vegetables for dinner, ice cream and sweets for desserts. Now we're waiting for the fireworks, then greet the new year, and go to bed. At year end, there's the usual tasks of closing current year's files and opening new year's files. I drafted my new goals for 2019, created a new goal tracking sheet, and a new budget sheet. My 2019 calendar now has a number of known appointments and confirmed events. December was a lovely month, with just the right amount of fitness, leisure, and social activities for me. I'm looking forward to having some fun this winter and enjoying 2019. I want to thank all my blogger friends and readers for your comments, continued support, and connections in 2018. Wishing you a Healthy and Happy New Year! I was consistent with my daily fitness routine that included walking close to nature, meditation, yoga, workouts in the gym, swimming, and running 5K. The pool was closed from the end of January to the end of August. I was eager to literally jump into the water with both feet when it was re-opened in September. I felt healthy and upbeat throughout the year. Finishing the Scotiabank Waterfront 5K race in October with my family there was great fun. I listened to forty-five concerts and attended close to twenty summer festivals, all of them were free to the public. I also watched forty movies (most of them with my neighbours and some in-flight), and tried a dozen or so new-to-me restaurants and dishes like Cambodian beek lok lak, cold beetroot soup in Vilnius, Lithuania or beef tajine in Fez, Morocco. I viewed over forty art exhibits at home, saw plenty of amazing architecture, and visited several UNESCO World Heritage sites during my travels. It was wonderful to see art on King Street in my home city, street art in Santiago, Chile, Art Nouveau in Riga, Latvia, and the actual sights where Vincent van Gogh painted in Auvers-sur-Oise, France. I felt encouraged to continue learning French and Spanish every day as I was able to converse in basic Spanish in Chile, and basic French in France and Morocco. I resumed reading books in October and finished twelve books by the end of the year. Although I stayed in touch with family, friends, and neighbours throughout the year, the highlights include meeting my Finnish friend in Tallinn, Estonia, and attending my cousin's wedding in Paris, France, just because it's more challenging to be together with my faraway family and friends. On the blog, I celebrated my blog's 2nd birthday in October. My friend Donna kindly wrote a guest post for me in June, and my friend Sue generously let me participate on her blog as a guest writer in October. I reached my travel goals of the year with two family getaways, two fun-filled trips to see our friends within Canada (Ottawa and Quebec City), and four international trips that let me revisit France and explore six fascinating countries (Chile, Estonia, Latvia, Lithuania, Poland, and Morocco). The Countries Visited page on my blog has links to all my travel posts and is up-to-date. I want to thank my blogger friends and readers for your kind comments and connections in 2018. I wish you and yours a Healthy and Happy New Year 2019! Greetings! When I was in Marrakesh, Morocco last month, I went to visit Jardin Majorelle (or The Majorelle Garden) one afternoon. The garden made such a lovely impression that I want to document it with some of my photos on my blog. Jardin Majorelle was the creation of French painter Jacques Majorelle (1886-1962), who spent forty years injecting his passion and creativity into this magical garden. He painted the garden walls, fountains, features and villa in a fresh and intense blue colour, for which he trademarked the name Majorelle Blue. Famed designer Yves Saint Laurent and Pierre Bergé, his longtime business partner and onetime life partner, bought Jardin Majorelle in 1980 and restored it. They transformed Majorelle's villa-studio into a museum open to the public, and dedicated to Berber culture. Jardin Majorelle is one of the most visited sites in Morocco. It is a beautiful oasis in a bustling city. I hope my photos below show you why. Click to enlarge the pictures if you like. 1. Fountain at the entrance: Before entering the garden itself, we see an enclosed space with a square fountain designed by renowned American decorator Bill Willis. I love everything about this fountain such as the light terracotta tile floor, the blue and green tiles around the fountain, the symmetrically arranged plants in terracotta pots, the soft sound of gurgling water, the hanging branches partially covers the door, and the curved walls that separate the garden from the bustling city outside. 2. Cacti: Although Jacques Majorelle collected many plants for his garden, he was especially interested in cacti. Out of respect for this passion, Yves Saint Laurent and Pierre Bergé continued to expand the collection, which today includes about thirty members of the cactus family. Some have been imported from the southwest regions of the United States. 3. Majorelle Blue square fountain: This fountain is located in front of the Berber Museum, which used to be Jacques Majorelle's villa-studio. It's painted in his trademark Majorelle blue paint. I love the lemon yellow planters that accentuate the surrounding greenery and together they compliment the vibrant blue fountain. Similar to the fountain at the garden entrance, the soft trickling sound of water at this fountain has a soothing effect. 4. Berber Museum: The Berber Museum was officially inaugurated on the ground floor of the villa-studio of Jacques Majorelle in December 2011. More than 600 objects were on display inside the museum to introduce visitors into the Moroccan world of the Berbers. 5. Museum Bookshop: The museum bookshop has an extensive selection of works about Morocco, and Berber art in particular. It is also an art gallery featuring a wide variety of antique photographs, watercolours, drawings and engravings dating from the 18th and 19th centuries. I like the intricate design of the bookshop windows, painted in yellow, as seen behind the cascading plants below. 6. Galerie Love: This gallery exhibits the 'Love' posters that Yves Saint Laurent created starting in the 70s to 2005. He sent them every year as New Year's greetings to his friends and the clients of his fashion house. I love the colours that Yves Saint Laurent used in his collage to create the posters. 7. Boutique Majorelle: The on-site boutique offers a wide range of unique, high quality clothing and products, designed exclusively for the Jardin Majorelle. From my quick browsing, I noticed a silk and cotton clothing line, silver jewellery, silk scarves, hand-woven textiles, embroidered leather cushions, leather goods, artisan soaps, and traditional handmade preserves. The displays were beautiful. 8. Water lily pool: I love everything about this pool. The reflections in the water, the water lilies, the koi fish, the aquatic plants, the Asian lotus flowers, the blue borders, and the lush vegetation in the garden. It looks like a wonderful spot to reflect and contemplate. 9. Palm trees: There are many varieties of palm trees in Jardin Majorelle. Some of them have been imported from the South Pacific, eastern Africa, India, the Mediterranean basin and the Canary Islands. Palm trees and olive trees are considered holy in Morocco. I like how the red pathway or the terracotta grounds contrast with the green bamboo and palm trees. 10. Yves St Laurent Memorial: Yves Saint Laurent died on June 1, 2008. Peter Bergé died on September 8, 2017. The memorial in Jardin Majorelle, in memory of Yves Saint Laurent, is composed of a Roman column which came from his Tangier home and was placed on a terracotta base. A plaque bearing the names of Yves Saint Laurent and Peter Bergé and two white marble benches allow visitors to pause and remember. 11. Bamboo: The little bamboo forest inside the garden provides pleasant green shades and a sense of tranquillity. There is a canal running through the garden with Majorelle blue borders. The reflections of the bamboo in the water add to the calming effect of the garden. 12. Pavilion: The pavilion was designed by Jacques Majorelle, who painted there. My photo below captures the steps leading to the Pavilion and the surrounding plants. Jardin Majorelle is an enchanting garden and very nice oasis in Marrakesh. I love its beauty and tranquillity. I love when I explore a new point of interest and it turns out to be a captivating discovery. Greetings! I was reviewing my Autumn fun list update #2 that I posted here, to see if all of my items were checked off by today, the last day of Autumn in my calendar. 1. Enjoy my family holiday party: There are usually 20-25 people at our annual holiday party on December 26 (Boxing Day). We coordinate our menu items so each family unit knows what to bring for food and drinks. It's a guaranteed lively and fun event. 2. Start the New Year 2019 at home: I like a relaxing start to the new year, something like wake up at home on New Year's day, have breakfast, and take it easy all day. 3. Visit the Winter Flower Show: This show is on from December 2 to January 9. I look forward to seeing the beautiful flower displays that will brighten up any wintry day. 4. Explore Guatemala in January: I booked this trip last month, now I'm looking forward to exploring Guatemala for the first time. A new adventure awaits! 5. Attend the Icefest event in February: This is a one-day event that showcases incredible ice sculptures and live ice carving demonstrations. 6. Check out the Ice Breakers 2019 winter exhibition: The five winners of the Ice Breakers 2019 International Design Competition will be installed outdoors and on display from January 19 to February 24, with the theme “Signal Transmission”. 7. Photograph snow-covered objects: I'd love to do this on a calm and sunny morning when the snow is clean and fresh. I hope to share some nice pictures on my blog. 8. Book a trip in the Spring with my sister: We travel well together, and had a great time exploring Central Europe. I look forward to enjoying new travel experiences and creating new memories with my sister again. Stay tuned for my progress update about a month from now. Wishing you a healthy and joyful holiday season! Greetings! Last month I took a trip to visit Morocco. My itinerary included Rabat, Volubilis, Fez, Marrakesh, and Casablanca. You might like to read my posts on Rabat and Volubilis here, on Fez here, and on Marrakesh here. Today I'm sharing the top six sights that I've visited in Casablanca. I had included Casablanca in my trip itinerary since it was easier for me to book my flights home from this city. Casablanca's Mohamed V International airport is about forty minutes by car from the city centre, in off-peak hours. If you're flying out from this airport, allow enough time to get there. Casablanca is located about 90 km (56 miles) south west of the Moroccan capital of Rabat and bordering the Atlantic Ocean. Casablanca is the largest city in Morocco, with a population of almost 4 million and also boasts the world's largest artificial port. Casablanca is also the most liberal and progressive of Morocco's cities. Many young Moroccans speak to each other exclusively in French. Casablanca main colour is white. Unlike Marrakesh and Fez, there are high rise buildings in Casablanca. 1. The Hassan II Mosque - Standing partly over the water, the enormous Hassan II Mosque, designed by the French architect Michel Pinseau, was completed in 1993. It has a 210 meters (690 feet) minaret topped with lasers directed toward Mecca. It's the largest mosque in Morocco and the third largest in the world. The mosque has room for 25,000 worshippers inside, and a further 80,000 can be accommodated in the mosque's courtyard, which boasts a retractable roof. Astonishingly intricate decoration covers every centimeter of its surface. It is one of the two main mosques in Morocco open to non-Muslims who can visit the mosque on guided tours. One interesting tidbit: The Mosque's doors are made of Canadian titanium! Everything else is made of local Moroccan materials. 2. The Corniche is a beachfront neighbourhood on the ocean, west of the Hassan II Mosque. Along the Boulevard de l'Ocean Atlantique are many newer, fancier hotels, and many western fast food chains. The best option is to walk up and down the street, and enjoy Moroccan tapas at one of the many ocean-view cafes. In the photo below, you can see the lighthouse in the distance. 3. Place Mohammed V is the central plaza of Casablanca. It is home to many of the city's important official buildings, including the main post office, Palace of Justice, Prefecture, French consulate, and the main Bank of Morocco. In the photo below, if you zoom in to the signage of the Palace of Justice, under the roof, you see it is written in Arabic and Berber languages. 4. The Notre Dame de Lourdes is a church built in 1954-1956 by the French architect Gaston Zimmer. The church exterior includes a massive concrete ‘hood’ which towers over the doorways and is completed with a small crucifix attached at its highest point. It's the beautiful stained glass windows inside the church that capture everyone's attention. The open, airy interiors are lit up by the beams of light that filter through these stained glass windows which cover an entire wall of more than 800 square meters. The stained glass was created by French stained glass artist, Gabriel Loire. 5. Rick's Café - If you’ve heard about Casablanca, it’s probably because of Casablanca, the Academy-award movie starring Humphrey Bogart and Ingrid Bergman in 1942. A replica of Rick's Café as seen in the movie was created ten years later in Casablanca's Old Town, within a 20 minute walk of the Hassan II Mosque and in the walls of the Old Medina bordering the ocean. My tour guide advised that the food is good at Rick's Café. Reservations and dress code are required for dinner. Alternatively, come here just for drinks at the bar, and soak up the 1940's Casablanca atmosphere. 6. Central Market - Casablanca's bustling central market is right in the city centre. It's where locals come to buy and sell. You'll find everything here from lamps, silver, spices, to Morocco's famous slippers. Be vigilante of your belongings and surroundings. If you're seriously interested in buying something, be prepared to haggle and disengage the negotiations amicably. Casablanca is a busy city. It's well-connected to other cities and towns in Morocco by air, train, or bus so it's a convenient gateway. Its location by the Atlantic Ocean is a big draw in nice weather. In the city centre, I saw many Art Deco buildings which, if restored, would add more charms to the city. I was glad that I had spent more time in Rabat, Volubilis, Fez, and Marrakesh. I found the layouts of these imperial cities more appealing than Casablanca, and their Medinas and ancient buildings or ruins a lot more fascinating than the Medina in Casablanca. This is the last stop of my trip in Morocco. I've immensely enjoyed exploring this exotic country for the first time. It's a captivating destination. I've learned a lot from the places I've visited. I hope you enjoy my posts and photos. Welcome to the 12th and last Wellness Wednesday link up of 2018! The optional prompt is Self-Care Rewards for all the efforts that we've put in this year. In today's post, I have a short recap of my November wellness goals, and share my thoughts on the rewards of self-care. In November, although I was in Morocco for part of the month, I managed to achieve all of my November wellness goals as listed here, and reviewed under Fitness here. Total for November: nine workouts at the gym, seven yoga classes, four swimming sessions, and three 5K runs. I also walked at least 45 minutes and meditated 15 minutes daily. I gained one extra swimming session by switching my swimming day from Saturday to Friday, and the best part is it's quieter at the pool on Friday...so far. The overall feeling healthy is the best reward for me. I believe it's well worth investing a small part of my day for self-care. I look forward to enjoying the various leisure activities and travelling while I can, and hopefully for many more years. I plan to continue with my wellness activities this month and in 2019. It would be super to have more bloggers and readers participate in the monthly Wellness link up. I'm thinking on the second Wednesday of each month and leave the topic open for anything wellness-related. Stay tuned for further announcement. Greetings! Last month I took a trip to visit Morocco. My itinerary included Rabat, Volubilis, Fez, Marrakesh, and Casablanca. You might like to read my posts on Rabat and Volubilis here, and on Fez here. Today I'm sharing the top eight sights that I've visited in Marrakesh, one of the four imperial cities in Morocco. It is known as the City of Gardens or the Red City. Marrakesh is located 327 km (203 miles) south west of the Moroccan capital of Rabat. Marrakesh was founded in 1062. The Medina of Marrakesh is a UNESCO World Heritage site. The population of Marrakesh is about one million. Marrakesh main colour is red sandstone or terracotta. Buildings are not allowed to be taller than the mosque in Marrakesh. 1. Koutoubia Mosque: Koutoubia Mosque is the largest mosque in the city. It is made of red stone and brick and measures 80 metres (260 ft) long and 60 metres (200 ft) wide. The minaret is constructed from sandstone and stands 77 metres (253 ft) high. The spire atop the minaret is decorated with gilded copper balls that decrease in size towards the top, a style unique to Morocco. Koutoubia Mosque has inspired other buildings such as the Giralda of Seville in Spain (photo #14 in my Seville post), and the Hassan Tower of Rabat (#3 in my Rabat post). 2. Saadian Tombs: Saadian Tombs were built in the 16th century as a mausoleum and final resting place for numerous Saadian sultans. The building has three rooms that contain the graves of about sixty members of the Saadi Dynasty. The main room displays fine Islamic architecture with marble columns, mosaic tile work, floral motifs, calligraphy, cedar wood carving, and stucco. Outside the building are unnamed graves of soldiers and servants and a garden with orange trees. 3. The Bahia Palace: The Bahia Palace was built in the late 19th century by the Grand Vizier of Marrakesh, Bou Ahmed. Bahia means brilliance. The palace took seven years to build, with hundreds of craftsmen from Fez working on its wood, carved stucco, and mosaic tile. It is a stunning palace that can easily take hours to see all the details. The rooms in the Bahia Palace were designed to capture the essence of Islamic and Moroccan architectural styles. They open to courtyards such as the one in the photo below. 4. The Medina of Marrakesh: The Medina of Marrakesh, a World Heritage site, is a labyrinth of small streets and alleyways leading to schools, mosques, souks, and houses. It is protected by the ramparts of Marrakesh, which stretch for some 19 kilometres (12 miles) around the medina of the city. Built by the Almoravids in the 12th century, the walls are made of a distinct orange-red clay and chalk, giving the city its nickname as the "red city". They stand up to 5.8 meters (19 feet) high and have 20 gates and 200 towers along them. One of the gates is Bab Agnaou Gate. It's now a passage connecting both the medieval and modern parts of Marrakesh. 5. Jemaa el-Fnaa (or La Place in French): This is one of the best-known squares in Africa. It's a place where there is something to see and do from morning to night. By day, the square buzzes with snake charmers, henna-tattoo artists, and various other entertainers. At night, there are countless food stalls selling traditional dishes and fresh orange juice. It's a busy place so be vigilant of your belongings and surroundings. 6. The Souks (or Local Markets): Marrakesh boasts a full medina with traditional winding souks and countless treasures. Whether you're looking for food, cooking ingredients, household supplies, lamps, carpets, handicrafts, or literature, there's a street and alleyway for everything. Visitors can get lost for hours in the labyrinth of captivating streets. 7. Jardin Majorelle: The Jardin Majorelle (or Majorelle Garden) is a beautiful oasis in a bustling city. It was the creation of French painter Jacques Majorelle, who spent forty years injecting his passion and creativity into this magical garden. He painted the garden walls, fountains, features and villa in a fresh and intense blue colour, for which he trademarked the name Majorelle Blue. Famed designer Yves Saint Laurent and Pierre Bergé bought Jardin Majorelle in 1980 and restored it. They transformed Majorelle's studio into a museum open to the public, and dedicated to Berber culture. It's now called the Museum of Islamic Art. Similar to the Bahia Palace, visitors can easily spend a few hours at the Jardin Majorelle to enjoy its beauty and tranquillity, as well as visit the Berber museum, and the Yves Saint Laurent boutique that are located in the garden. I've taken many photos in the garden that deserves a blog post on its own. 8. Ville Nouvelle: Outside the ancient walls of the Medina of Marrakesh is the newer part of the city. There are gardens, villas, museums, and shopping centres to explore. The sidewalks are clean and I like the green palm trees that line the main avenues and the red sandstone walls. During my stay in Marrakesh, I met four American travellers from New York. We shared a horse carriage ride from Marrakesh main square, Jemaa el-Fnaa, to Ville Nouvelle area. It's easy to find a horse carriage from the square and negotiate the price, just like you would with a taxi. As the horse owner and I conversed in French, he told me that he owned four horses, two of them work the morning shift, and the other two work the afternoon shift. Marrakesh is a very captivating city with its ancient history and architecture. The souks alone offer incredible sights, sounds, smells, and textures. The Ville Nouvelle area seems to have more European presence than Fez, likely due to a large number of French people who have bought properties in the city. I would have liked to stay longer to explore more sights and the museums in Marrakesh. However, it's time to move on to Casablanca, my last stop in Morocco before heading home. It's been so awesome to visit Rabat, Volubilis, Fez and Marrakesh up to this point on my trip.